Each year a new wave of apps is released to help make things easier for us when travelling the world. Along with these, the old favourites are continually striving to improve their software in order to continue their status as popular mobile travel companions. These convenient applications are always around to lend a hand at every stage of the holiday process; from booking your trip, to preparing for it and then getting the most out of each destination once you are there. So what does the latest crop have in store for us? 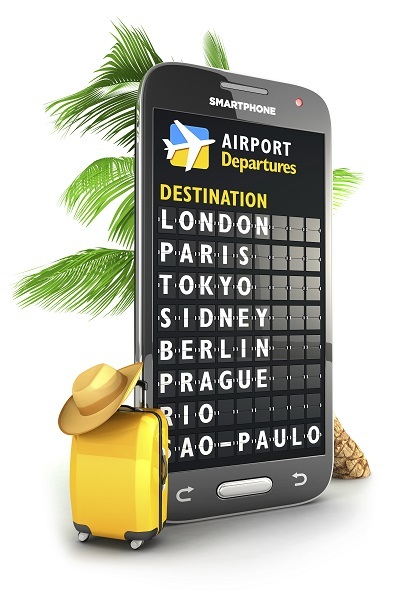 Here are 5 great travel apps for anyone going on holiday in 2014. So you know where you want to go on holiday, but with so many websites out there how do you know where to find the best price? Well, to start with you should give Fred.\ a call as our helpful team will aid you in finding a great deal. But assuming you already know that, the Hipmunk app can also be a great help too. The concept isn't new and is replicated by many other applications on the market, but this little fellow is arguably the best. There's the usual price comparison function, but uniquely the results that the app returns do not just take this aspect into account. It also calculates how long your flight will be, how many stopovers each journey would involve and then orders them from 'agony' to 'ecstasy'. Some other great functions include embedded Trip Advisor reviews, the ease of booking last minute flights and accommodation, and an alert system that informs you when prices change. Hipmunk is free and available in the Apple Appstore and Google Play. So you've booked your holiday and in your excitement you have already started planning what you want to see and where you are going to go. However, how can you ensure that you have all your important travel documents and tickets in one place so that you know where to find them? TripIt is an app that I have used a lot in the past and I love the way it collates things into one easy area of your phone. Simply upload all of your confirmation emails and the app allows you to create your own personal itinerary for the duration of your trip. You can then share this with your travel companions so that everyone knows what the holiday has in store. Business travellers can also input information about any meetings they have and set reminders so they are never late. TripIt is available on IPhones, IPads, all Android devices, BlackBerrys and Windows phones for absolutely nothing. This isn't just another app to help you upload pictures of your food to social media (there's already enough of them), instead this piece of software does so much more including helping with your hankerings in a foreign country. For example, you land in a place you have never been before and you have the biggest craving for a juicy burger, but where do you go? Which direction do you head in? Well, as you can't always rely on your nose in these situations, the Foodspotting app can help. Simply search for the type of food you are craving and the app will point you in the direction of any establishment nearby that can offer it. Also, if you are in a restaurant and are not sure which dish to have; just browse each meal's rating on the app and let other people's past experiences guide you. Foodspotting is available in Google Play, BlackBerry World and the Itunes Appstore for free. So you're enjoying your holiday and you have done all the things that you booked beforehand and saved in your TripIt itinerary, but now you want to see some spontaneous local sights. And that's where the guides offered by 'Like A local' come in. Download detailed city handbooks for 1.79 Euros each and you will be off exploring some hidden gems in no time. At the moment it only includes selected European cities, but the fact that the guides are regularly updated with tips and tricks by experienced editors means they are very useful indeed. And the additional function of them working offline is a big bonus. The app itself is free and available from the Appstore and Google Play. I struggle to believe that there is anyone out there who is yet to learn about WhatsApp, but for those who haven't discovered this gem: you're welcome. 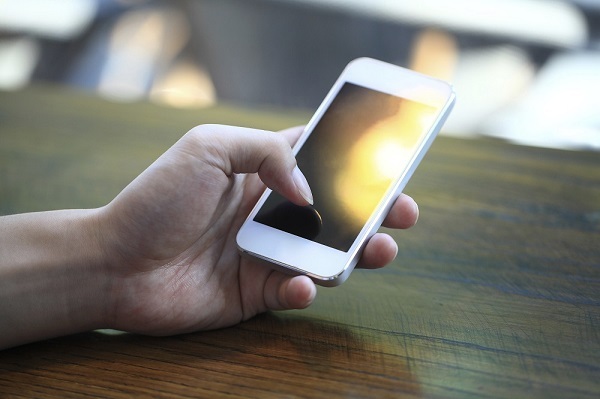 With travellers regularly returning home to sky-high mobile phone bills, there is a lot to be said about an app that allows you to keep in contact with your loved ones for free (provided you have a Wi-Fi connection). This software facilitates texts and picture messages between two devices that have the app and means that you can send unlimited correspondences without fear of racking up major charges. A special mention must also go to Viber; an app that provides the same function but with the addition of voice calls. There have been murmurings regarding the introduction of a charge to download WhatsApp but as yet it still remains a free service that can be found in Google Play, BlackBerry World, the Windows Store and the Apple Appstore. Another great way to make your holiday planning easier is to book with Fred.\. Our knowledgeable experts will help find you the best deal and will be able to offer excellent information regarding your destination. So whether it's a European city break like the one we offer on Fred.\ Holidays or a world cruise from Fred.\ Cruises, you can be sure to get the most from your trip. Please call us or submit an online enquiry for more details.